Great for everyday use or to wear for game day! Great conversation piece! My father-in-law loved this unique gift. He is a die-hard Red Sox fan and lives in MA (frequent cold weather) so the hat will get a lot of use. He really liked the story behind how the hat is made. It was extra special since it was a 70th birthday gift! Love this hat! What a creative way to give a baseball fan a gift like no other!!! Can't wait for baseball season to start so I can wear it to a game. My Husband Loved this Gift! I bought this so my husband can wear under his motorcycle helmet when riding in cooler weather. I actually bought this as part of the Kickstarter program. Received it in the mail last week. This is fantastic. 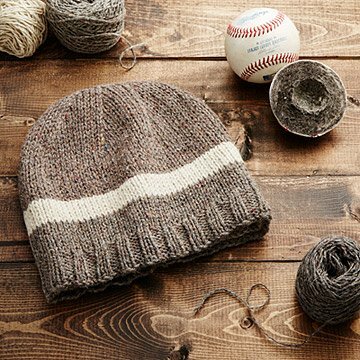 Inside the beanie is a tag of authenticity which allows you to look up a code and see when and who was involved with your baseball. My friend, whom I bought this for, is a huge SF Giants fan. His beanie ball was used in a game between the Angels and Giants. Angel Pagan hit the ball for a sacrifice fly and Buster Posey foul tipped. The construction is impeccable and it came in a sweet box. Over all. If you have an MLB fan in your life, this is an inexpensive way to provide a collectible.